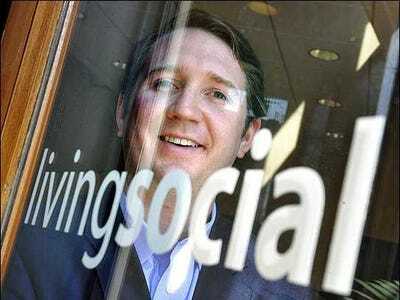 LivingSocial, the daily-deals company, has debunked an explosive but apparently wholly erroneous report that the company raised debt instead of equity in its latest $110 million financing.LivingSocial CEO Tim O’Shaughnessy revealed that the new investment represents 7.5% of the company, valuing the whole enterprise at a little less than $1.5 billion. But in the process, the company has highlighted that there are still mysteries swirling around the exact terms of its latest investment. The company filed new articles of incorporation in Delaware that clearly show that it issued equity, not debt. When a company incorporated in Delaware issues shares to investors, it has to revise its articles of incorporation spelling out the terms. Except that’s not quite what happened here. LivingSocial has raised a lot of money over the years—a total of $918 million, including this latest round. Every round involves the creation of a new class of preferred shares distinguished by letter, which now range from Series A to Series G.
Dan Primack at Fortune reports that the Series G investors include Revolution, the investment vehicle created by former AOL CEO Steve Case, and Amazon, both of which previously invested in LivingSocial. Other investors, like Lightspeed Venture Partners and T. Rowe Price, declined to invest. The Series G investors have a number of privileges not uncommon to venture investments, like the right to name a director to LivingSocial’s board. As with other venture-capital investments, the preferred shares accumulate dividends—essentially increasing the percentage of the company they will own in the event of a sale or public offering. Those are set at the rate of 3 per cent. But there is one big unknown: the price at which Series G preferred shares convert to common shares. That is calculated using a figure LivingSocial’s articles of incorporation calls the “Stated Value Elimination Amount.” And that amount is spelled out in a separate document, the Terms Agreement, which is not included in the articles of incorporation. In most corporate documents we’ve seen, that’s set at a specific price. And so it is for the other classes of preferred shares LivingSocial issued. We’re still digging into the document. But it’s clear that without the Terms Agreement—which LivingSocial and its investors haven’t disclosed, and which, unlike the articles of incorporation, they don’t have to disclose—it’s very hard to pin down the price LivingSocial paid for its new cash. We raised these issues with a spokesperson for LivingSocial who said he couldn’t address them on the record.